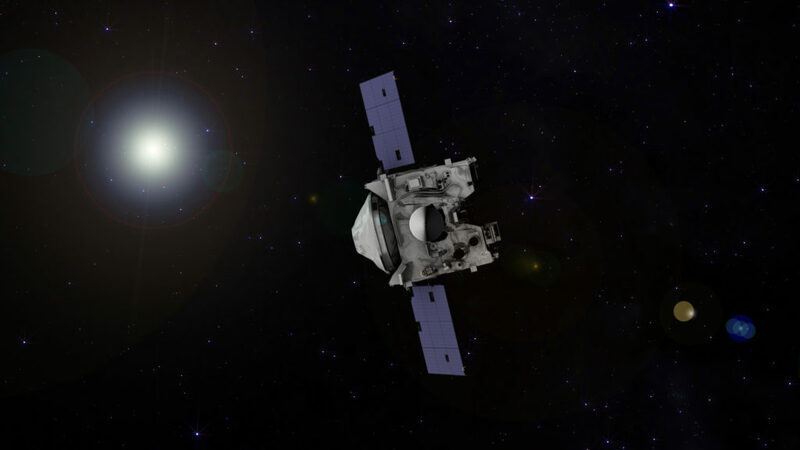 NASA’s OSIRIS-REx spacecraft fired its thrusters to position itself on the correct course for its upcoming Earth flyby. The spacecraft, which is on a two-year outbound journey to asteroid Bennu, successfully performed a precision course adjustment on Wednesday to prepare for the gravity slingshot on September 22. The August 23 maneuver began at 1 p.m. EDT and lasted for approximately one minute and 17 seconds. Preliminary tracking data indicate that the maneuver was successful, changing the velocity of the spacecraft by 1.07 miles per hour (47.9 centimeters per second) and using approximately 16 ounces (0.46 kilogram) of fuel. OSIRIS-REx will fly by Earth on September 22 to use our planet’s gravity to propel the spacecraft onto Bennu’s orbital plane. As of Friday, August 25, the spacecraft is about 10.3 million miles (16.6 million kilometers) from Earth. The mission team has another minor Earth-targeting maneuver tentatively planned for September 12. Over the next few weeks, the navigation team will process daily spacecraft tracking data from Wednesday’s maneuver to determine whether the additional maneuver is necessary before the Earth gravity assist.